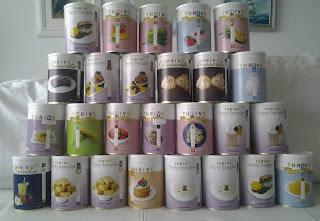 One of my favorite ways to keep my food storage stocked is the Thrive Q. 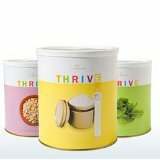 What is the Thrive Q? It is the best way to set (and stay within) a budget and build up your home store. 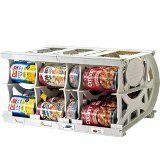 The Q allows you to create a list of all the food to add to your pantry and set a monthly budget. Each month, items are automatically selected from your list to come as close to your budget as possible without going over. You can view, pause and adjust this list prior to shipment, or just let the system continue shipments automatically. I love how this simplifies my life! I take an inventory every couple months and fill my Q with everything I am running low on. Then the food I need just shows up each month. No store visits, no hassles. The best part is that you always get the best price on Q items. There is no minimum amount, and you can stop or pause or change the shipments at any time. As a consultant I earn a lot of free and ½ off product, this February I’m giving it away. When you sign up for a new Q and have the first shipment come in February I’ll give you $100 in Thrive Life product at ½ price. You can sign up for the Thrive Q here.